For the perfect sun or ski holiday package the multi-award winning Mark Warner company is the travel operator for you. 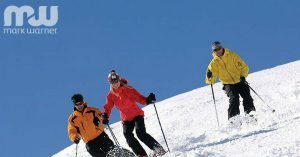 With over 40 years of experience at providing luxury summer holidays in the Mediterranean and luxury winter ski holidays in Europe, this company has an outstanding reputation. 40% of their customers rebook their holidays with them year after year and we here at Aspen Travel are very proud to be associated with them. We offer a large range of Mark Warner packages in a number of different exciting locations and we always ensure that our customers have access to the very best deals. Flights, transfers and accommodation with plenty of facilities all come as standard. If you’re looking for some summer sunshine, then you have the option of booking a variety of resorts in Portugal, Turkey, Greece, Corsica and Sardinia. Mark Warner’s high quality accommodation is hand picked with their customers in mind. Each resort is chosen for the quality of its facilities, relaxing and picturesque surroundings, helpful staff, unrivalled childcare and attention to detail. You can expect swimming pools, tennis courts and spa treatments of the highest standard. Clean beaches with additional water sport opportunities will be situated close to your resort and there will be an abundance of choice in how you spend your day. If the slopes are your priority and you’re looking for the ultimate ski holiday, Mark Warner offers a large number of snow-sure, high quality European ski resorts in France, Austria and Italy. There are ski facilities, equipment and tuition available for all levels from beginners to experienced skiers and accommodation to suit families, groups, couples or solo travellers. The company’s ski packages have been tailored over the years to ensure that you have everything you need in order to provide you with an incredible and memorable skiing experience.